Since I switched back into testing from a development role, I’ve been trying to build up skills that will future-proof myself. To do this, I’ve been going to more talks and conferences, and watching webinars on testing. What do I mean by future-proofing? I want to ensure that I have the correct skills, either by focusing on one specific area or gathering a broad knowledge of a few keys areas, that may be popular or emerging in technology now or in a year or two. Technology has changed so much even in the last 10 years, so it’s one area that I think you should stay up-to-date on the trends. Earlier this year, I watched a webinar called 2018 Test Automation Trends. I’m sure all testers have heard of or are using automation tools these days. They have probably heard the fears of some that manual testers are being made obsolete by automation (this is in no way true). But automation isn’t everything. 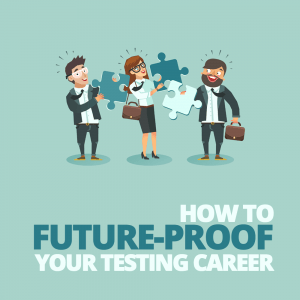 This isn’t the only area that could help you future-proof your testing career. Automation is just another area of testing that’s getting more attention. It has become highly visible how important testing is, and how bad products affect end users as well as shareholders. Although this webinar was about automation trends, at the end, the experts were asked what they thought would be things to watch out for in 2018. I believe that if you want to stay ahead in this field, you need to look ahead too. So here are the topics that these experts recommend to focus on in 2018, and also some that I think are good areas to begin future-proofing yourself as a tester. Blockchain is a data structure that exists in many locations at once. You can only add to the blockchain. No deletions or updates are permitted. The data held within a blockchain is decentralized, which means a copy of the existing blockchain is on every machine in the network. Additions to the blockchain can be seen on every computer in that network and the transactions are cryptographically linked to the previous transaction. Therefore, carrying out fraudulent transactions is very difficult to perform. To do this, someone would have to rewrite their history to the beginning of time, which is extremely resource-heavy. With Blockchain applications, once a contract is deployed to a blockchain, it can never be changed. So you have to be very confident the testing that’s performed is of a high level of quality and that everything that should be covered has been covered. There is no rolling back. For more information, I wrote a blog post to introduce testers to blockchain applications. Have a read and see what you think about blockchain. Understanding blockchain technology and how to test it will help future-proof your testing career. It will help enable you to move into different fields, like banking and the automotive industry, which are both currently using this technology. It will give you more options about where you will work. Contracts and application programming interfaces (API) testing focus on testing API endpoints of services and microservices. There are different types of services. One example is a web service, which provides a way for applications and systems like databases, mobile apps, and other web servers to communicate with the service over the internet using endpoints. Endpoints are URLs that your HTTP client interacts with in order to access the data from that URL. When testing endpoints, you ensure that when requests are sent with the correct parameters or incorrect parameters, the system behaves in a way that you expect. For example, if you send three parameters to an endpoint and the endpoint requires four, then you would expect a response to be returned with a 400 status code. The services architecture is widely adopted across many industries, because it allows code to be written in a more modular way. This allows the project to be easily extendible, and will also mean that systems are coupled less tightly together. As a tester, you need to ensure that you can test endpoints and contracts thoroughly. Incorrect requests could mean that your application doesn’t respond with the correct status code or message for the user in the best case. But in the worst case, it could lead to holes in your application’s security. As testing jobs require more knowledge about different ways to automate their testing code, learning how to implement API tests and perform contract testing will help future-proof your testing career. You’ll become an expert in a specific area of automation, and as more applications, particularly web-based ones, are built using the service architecture, your skill to competently test the integration layer will be very sought after. Smartphones and tablet devices have become a staple product within homes all over the world, for those young and old. It’s just as important to have a well-tested app nowadays as a well-tested website. In 2005, Google changed its search results ranking algorithm so that if a website wasn’t responsive, that site would be ranked lower in its results list. The dedication to and sophistication of mobile testing has massively increased since then. We first began testing mobile websites and apps manually, but because of the fragmentation of Android and the yearly releases of all mobile OSs, the need to automate mobile testing has increased. Because of this need, there has been a number of mobile testing frameworks released to aid testers. 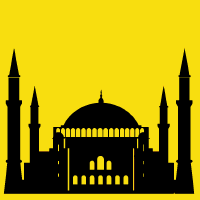 Appium is a mobile testing framework built on Webdriver technology. It was created in 2013 by Dan Cuellar, a test manager at Zoosk who found that the length of the test passes on the iOS product was getting out of hand. Appium allowed him to write automated tests for iOS as easily as Webdriver was used for automating websites. I recently went to the first Appium Conference held in London to learn about how I could utilize Appium. 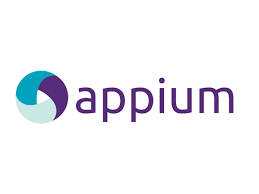 Knowing how to effectively test mobile apps and websites is now a full-time job, so tools like Appium are used to help mobile testers test thoroughly. Mobile devices are everywhere now and the development of applications will only grow, so I believe it would be a great skill to add to bolster your testing skill set. AI is where scripts, machines, or anything that’s not human perform tasks that may or may not be complex. Within AI there are a number of different areas. One that’s becoming more common now is machine learning (ML). Machine learning is when AI provides you with answers or data based on previously generated data. It takes all of the information gathered and makes predictions on future outcomes or decisions based on this historical data. One well-known example of ML and AI is the AlphaGo Zero software from Google’s DeepMind company that taught itself to play Go. Within three days, it was able to beat the previous version of itself (and that version bested 18-time world champion Lee Se-dol). In testing, we can use ML to predict outcomes of test cases by looking at historical test result data. It can be used to predict which test cases should be prioritized over others when certain parts of the system have been updated. It can tell you when a test case was last run so you can determine what test cases are the most important to be run. We’re constantly investigating how to become more efficient, save time, and complete jobs faster. AI can aid in this, so it’s a good idea to know its strengths and weaknesses, and how it can be used to help you with your testing career. We’re at the very early stages of AI and how it can be utilized within daily testing activities,helping us achieve a high level of quality of our products. Ensuring that you keep up with or are ahead of the developments and applications of AI within software testing will help solidify your expertise in the field and help future-proof your career. Containers give us the ability to store a number of different systems virtually within the same location. This means that if one environment needs a website front end, server, and database in order to function, all of these can be stored within the same place. For testers, containers provide a quick solution to deploy test environments that are stable, fast to set up, and a mirror-copy of staging or production environments. Learning the strengths and weakness of the architecture that your environments are built on will mean that you know how your application can be affected and whether certain types of tests will be more suitable to ensure a higher level of quality. For more information, I’ve written a post about containers and how we use them at my current company. Learning about Docker and the containers technology, and how to test it, will help future-proof your testing career. Since it allows quick deployment and scaling of infrastructure, it’s being widely adopted by a number of DevOps teams in different industries. This means you, again, will give yourself more options when looking for your next job opportunity. After listening to the expert’s suggestions, I’ve come up with a short list of additional areas that I think would definitely help bolster your testing skills arsenal. Debugging is where you step through code in order to locate defects. This isn’t something that every developer or engineer likes to do. Having the patience to walk through code can be an overlooked skill. Debugging can take a few minutes if you know what’s wrong and where it is, but it could sometimes take days to figure it out—particularly if the code base is made up of hundreds of files. Debugging also makes you practice reading the code, and it will help you develop a further and deeper understanding of the code base you’re stepping through. This skill is useful for developers and is great for testers to future-proof themselves, especially if you are developing test code in any capacity. But since it’s not one that’s actively trained, you should invest your own time into debugging code to further narrow down where in the codebase the defects can occur. You can do this by reading log files of applications when errors occur, and tracing them through the code base to see if you can track it down. For more information on how to improve your debugging skills, read 5 Steps to a Bullet-Proof Debugging Strategy. Devices that provided users with each of these experiences have been around for years. However in 2017, I believe they were accepted and adopted by a larger consumer audience. As this new tech is adopted more and more by the public, the demand for experienced testers in these areas will increase. Since it’s still very new, there’s not much in terms of frameworks or testing standards that can be applied yet.Still, this is the time for someone to take that first step and create something that everyone can use going forward. Cloud computing is the on-demand delivery of IT resources like compute, database storage, and applications via cloud service platform over the internet using a pay-as-you-go format. Platforms like Amazon Web Services (AWS), Google Cloud Platform, and Microsoft Azure are some of the options that are available presently, with AWS storming ahead of the competition. So why should you as a tester be concerned with what tech your applications are built upon? Well, it’s the same reason as I mentioned earlier about containers. If you know what tech your application is built upon, you should be able to understand it’s strengths and weaknesses and how that will affect your application. Therefore, you will be able to test your application better and help close up any holes in security that may be exploited, ensure it’s performant, and that the end user has a great experience when using your product. When you’re working within a technical sector, the ability to step back and assess the bigger picture of what’s going on in your industry, what things are emerging, what things may be going away, and what’s here to stay will tell you a lot. It will clearly show you where you should invest your time on new skills, and which ones you may need to strengthen. If you want to do more in order to future-proof yourself, why not try and go to a talk in one of these areas yourself, read blogs, listen to podcasts, or watch YouTube videos of experts in these fields. You can also get a free subscription to AWS and experiment with the Elastic Container Service to get a basic knowledge of containers. I hope this post has given you a foundation of what’s to watch out for now in 2018 within the field of testing. There’s a lot of options. So don’t wait—get started.